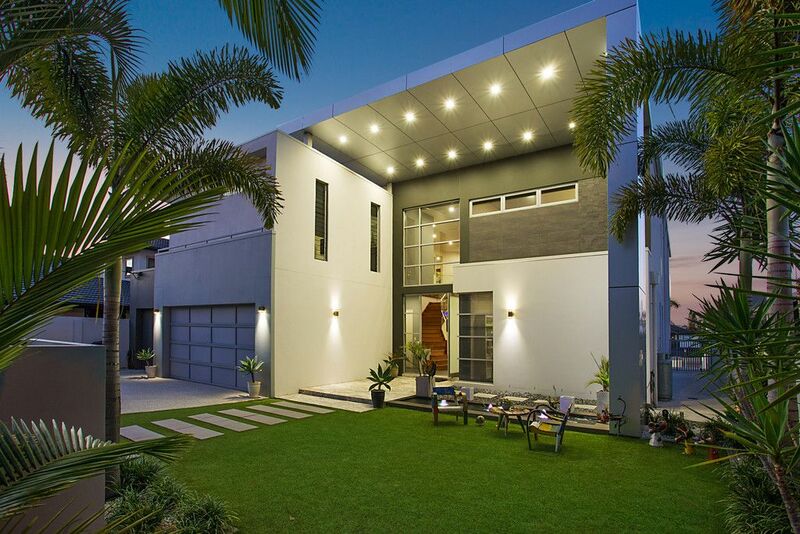 First impressions count when you enter this luxury home along the charcoal and silver toned limestone path. 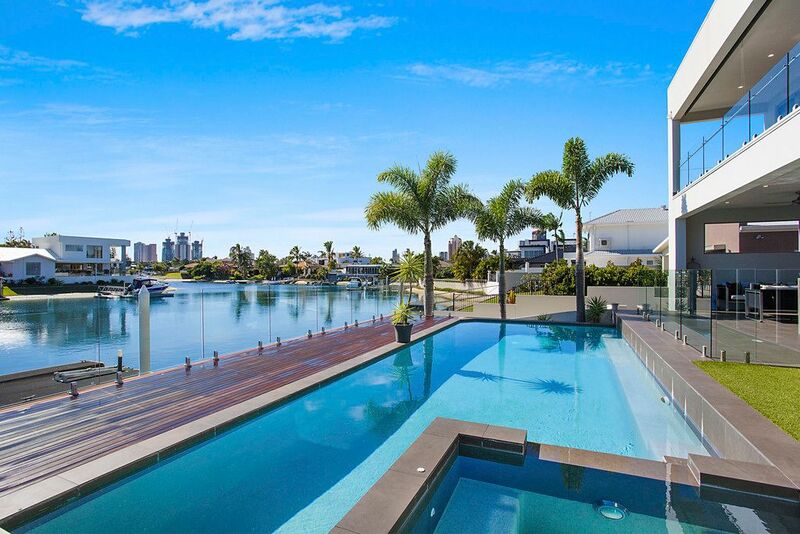 The sounds of bubbling water from the inspiring water feature allows you to prepare yourself for the unsurpassed experience this incomparable property has to offer. 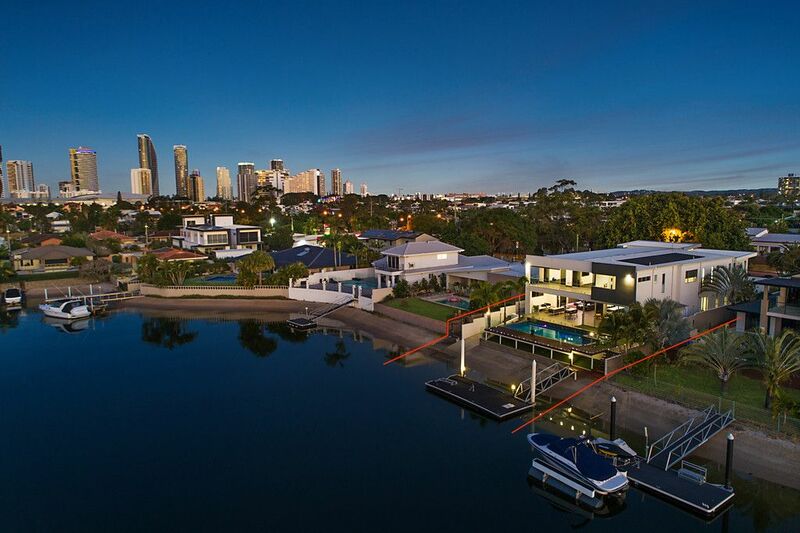 Set on a much sought after larger 921sqm, north facing waterfront allotment. 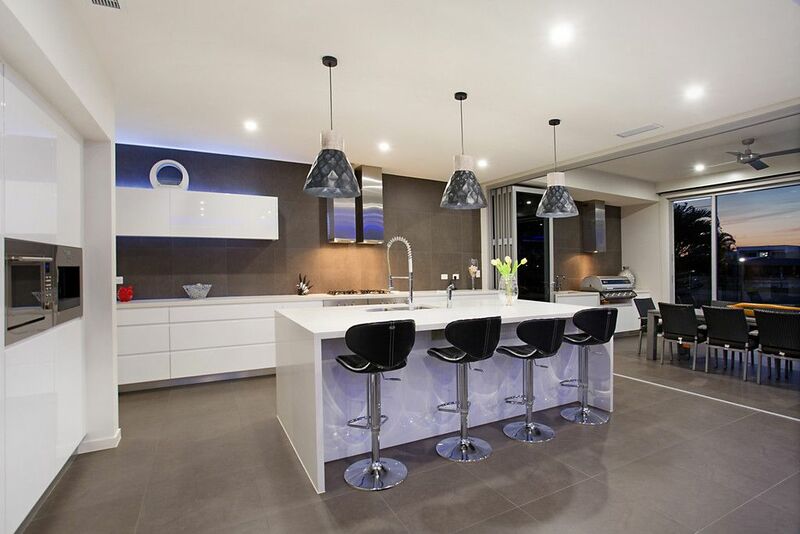 This interior designed home has excelled in collaborating a tranquil yet chic contemporary modern ambience using the latest of high quality materials, fittings, colour tones and textures. 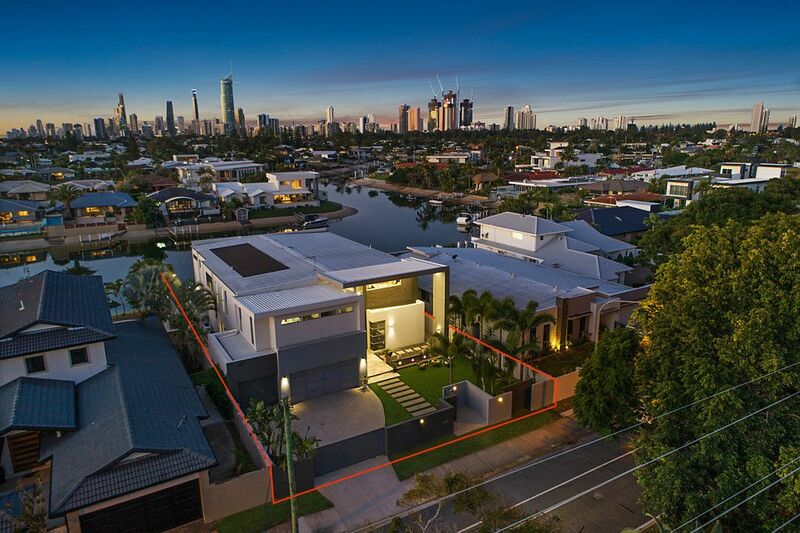 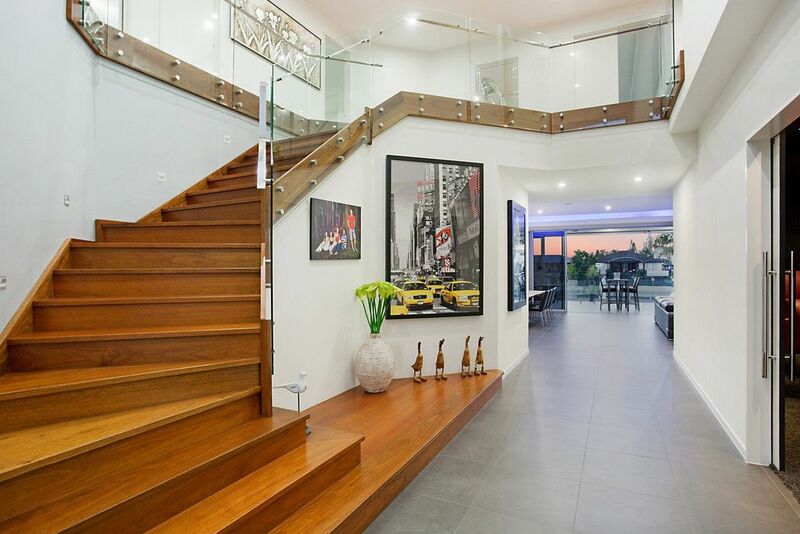 Your senses will be heightened and inspired as you move freely within this impressive open plan 722sqm, double storey home. 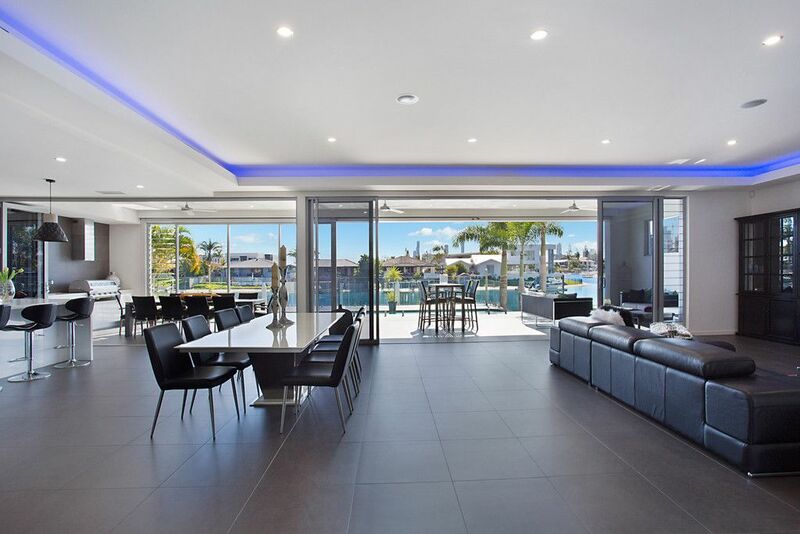 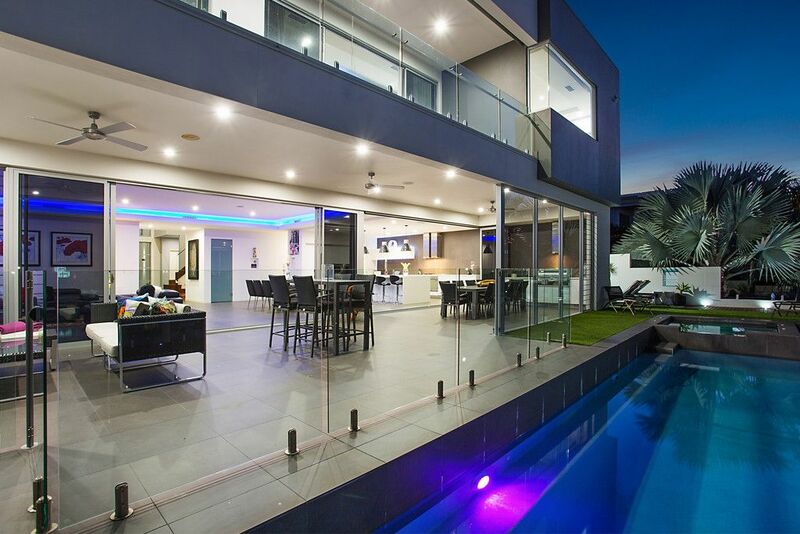 Floor to ceiling glass bi fold doors lead outdoors prompting you to entertain or live that envious Gold Coast lifestyle around the over sized sparkling pool, heated spa and alfresco relaxation areas. 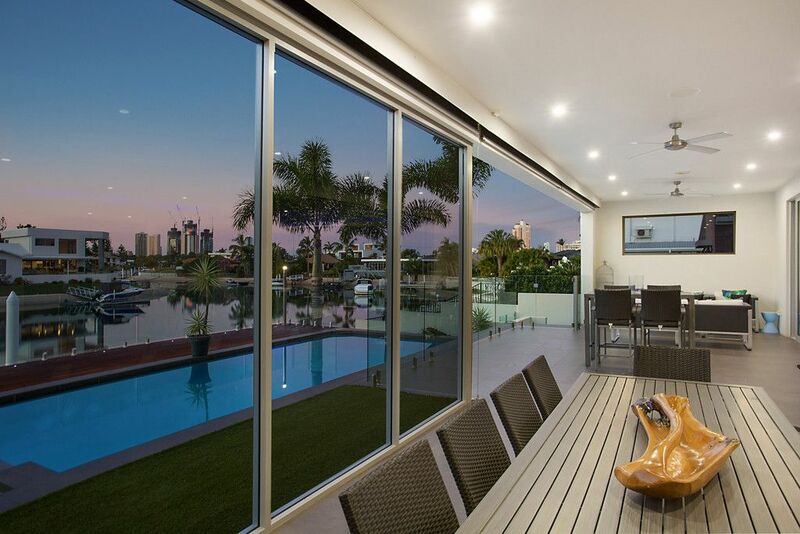 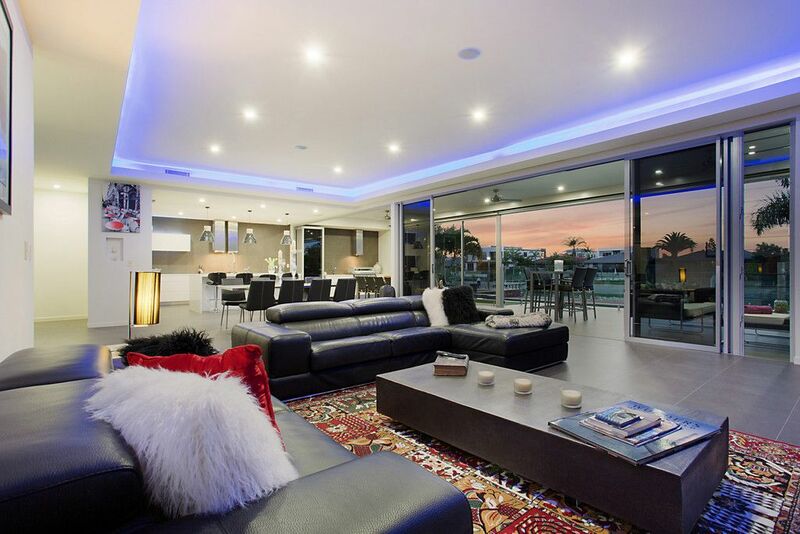 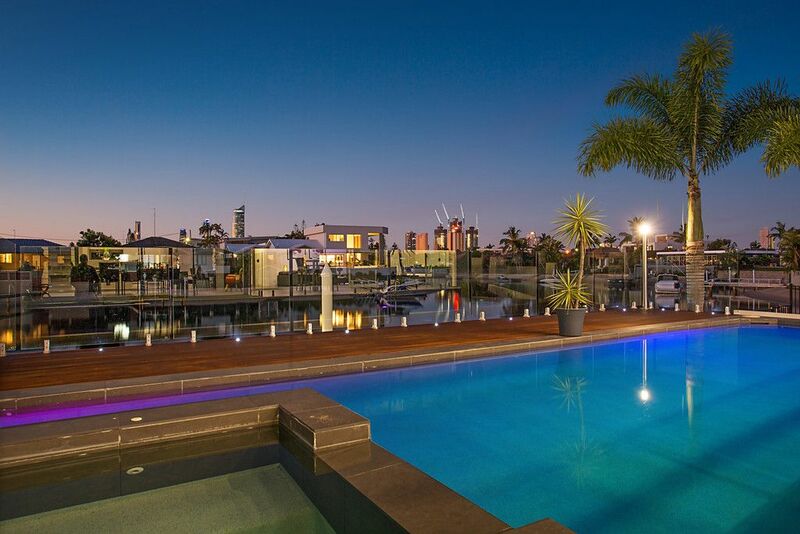 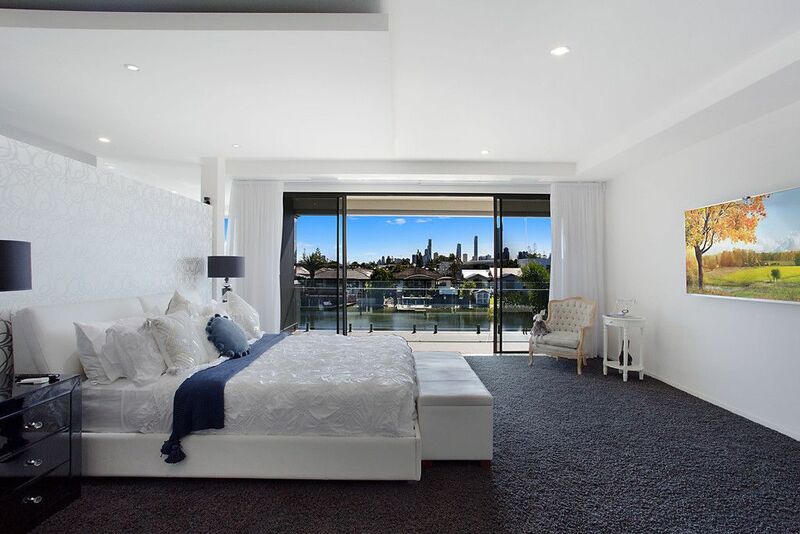 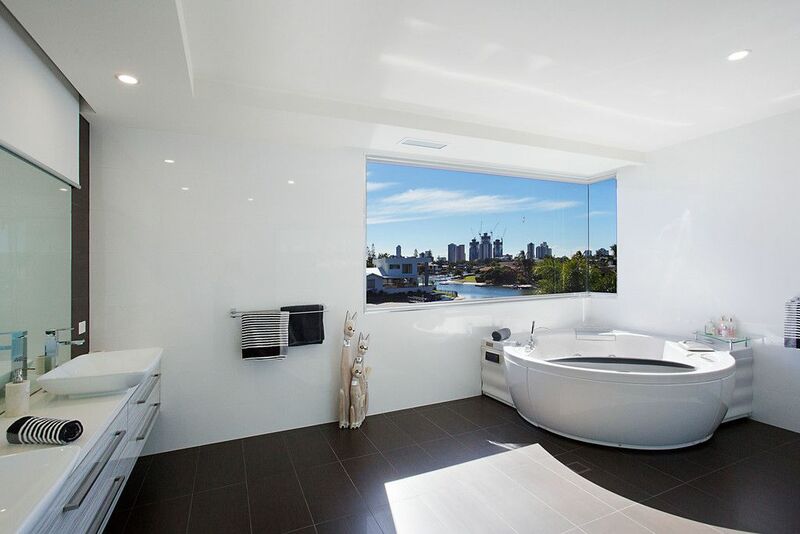 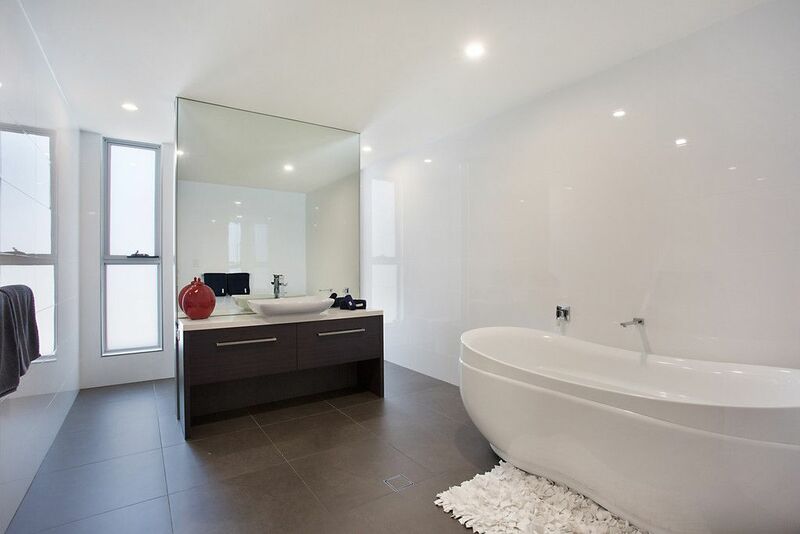 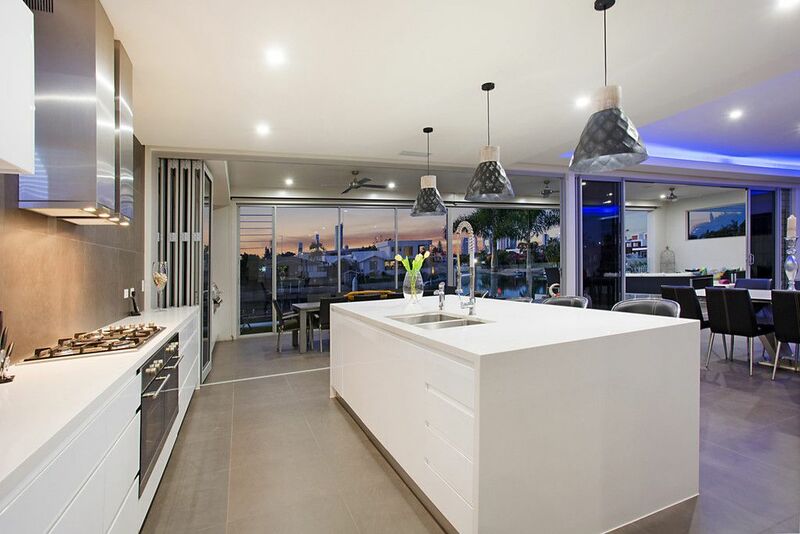 Maximum enjoyment and minimal maintenance, exceptional, chic and impeccably designed, taking full advantage of magnificent Broadbeach, Surfers skyline and expansive water views. 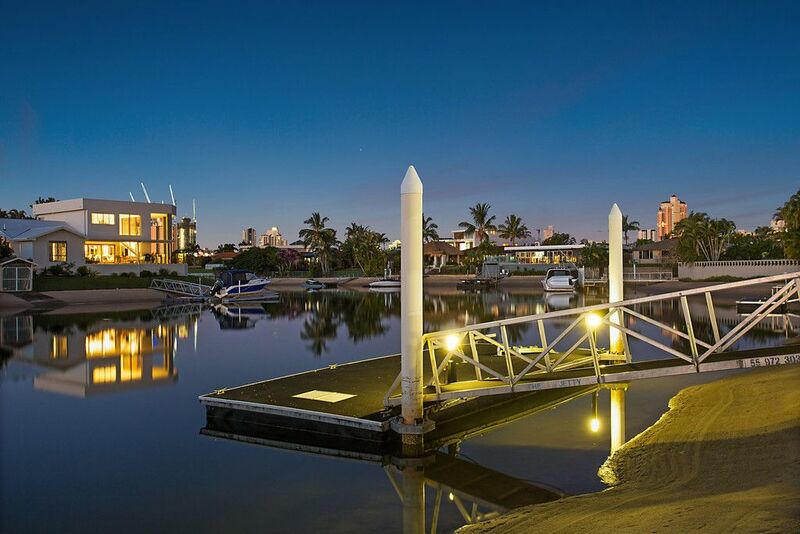 If you are looking for ease and luxury, a short 5 minute walk will take you to the newly refurbished Star Casino, award winning Broadbeach restaurants, lounge bars, cafes, night clubs, boutique shops, patrolled beaches, Oasis Centre, Pacific fair shopping centre and the convention centre. 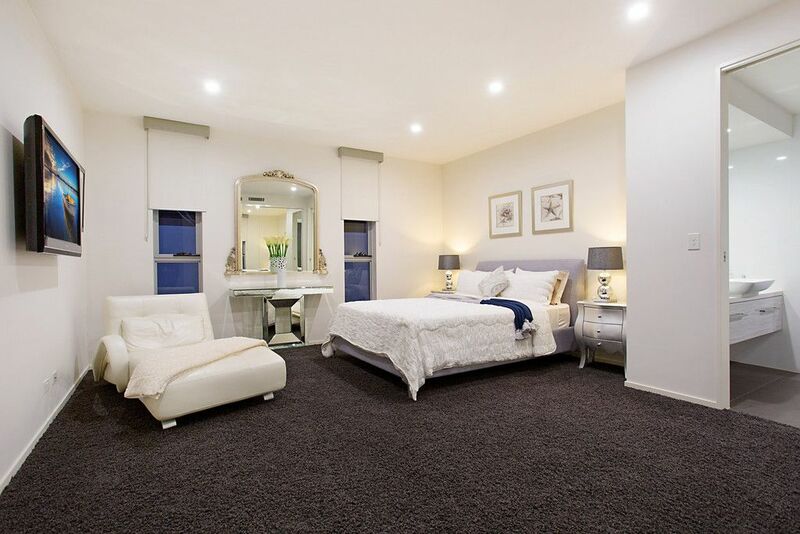 – 6 king sized bedrooms, en suited with walk-in-robes. 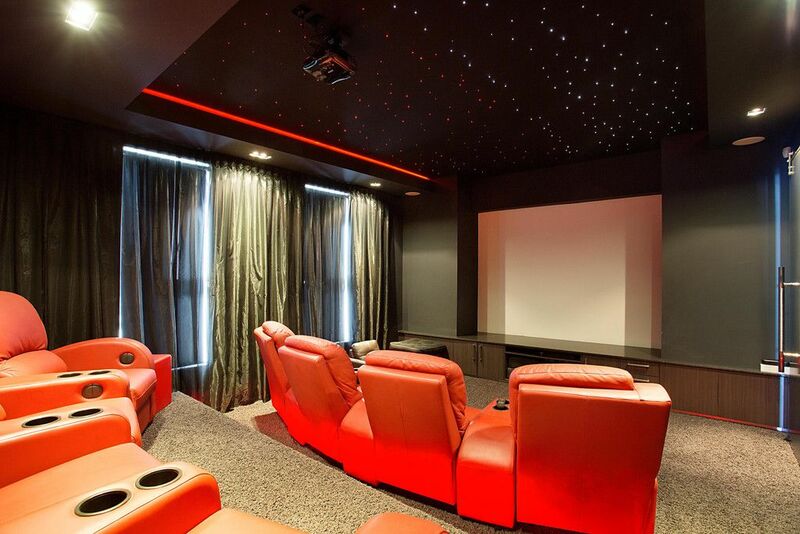 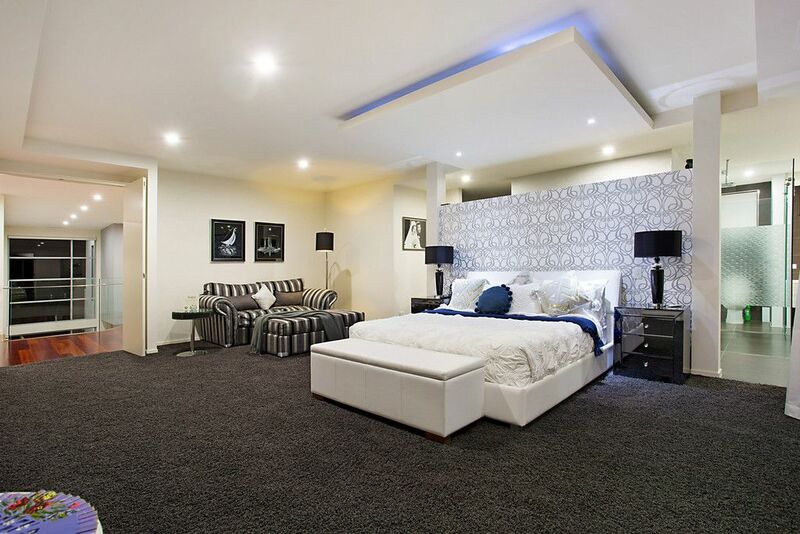 – Enormous luxurious master bedroom with a rich walk-in-robe and double spa bath with music in the ensuite. 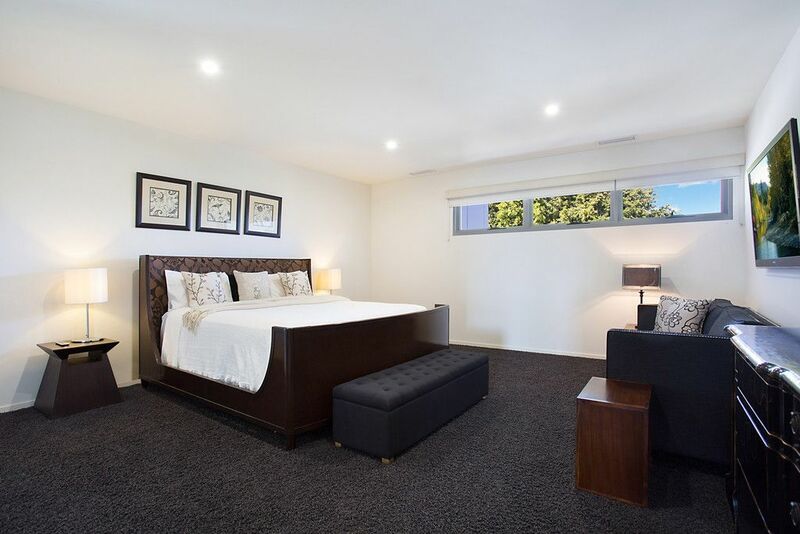 – Ground level impressive guest room with ensuite and robe great for extended family or elderly in laws. 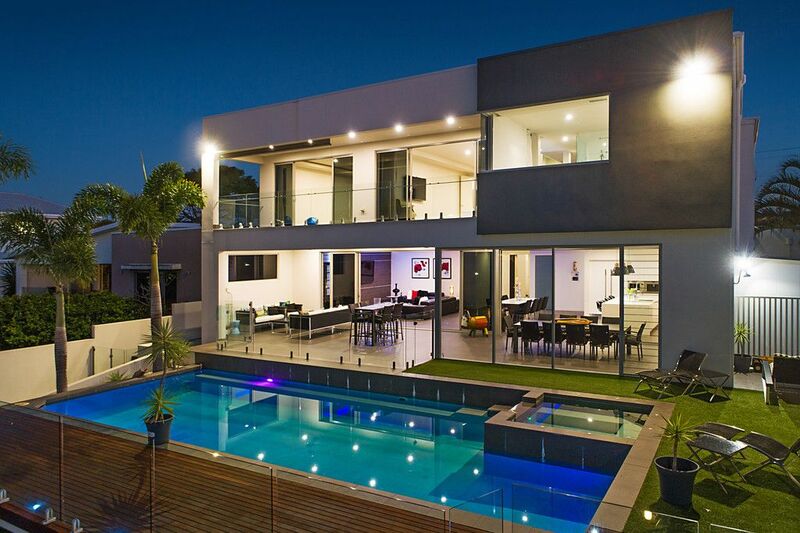 – Full security system operated by smart phone or iPad. 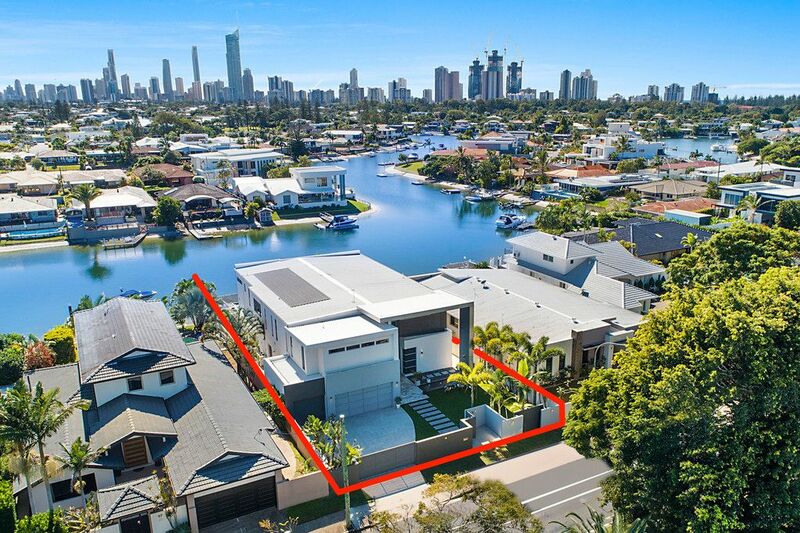 – Grass area suitable for children’s playground.